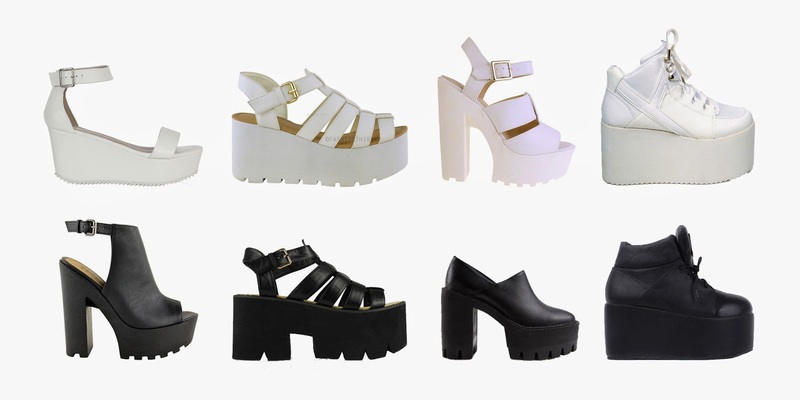 Because who does not need a new pair of platform shoes? All the shoes (except white nr3) comes in at least black and white! You're very free to come with suggestions on what I should look for, I really like hunting down things and making lists/shopping posts. PS - You can probably find these cheaper from other sellers if you do some work. I am not sponsored nor sure all these sellers are trustworthy, always be careful when you order things online. This entry was posted on 20140705 and is filed under list,shoes,shopping. You can follow any responses to this entry through the RSS 2.0. You can leave a response.